Originally, the Black Box Theatre at University of Central Florida had a pipe grid that was difficult to access. Lighting positions above seating and scenery was impossible to reach without doing a “grid crawl”, which consisted of literally crawling out on the grid while wearing a safety harness with two lanyards. Due to this, only a couple of people could actively work on show lighting at the same time. “We frequently had large numbers of students available to assist with the hang and focus process and could only actively engage a very limited number because of the complicated access to the grid. These limitations made every step of the process extremely time consuming,” says, Vandy Wood, Design and Technology/Scenic and Lighting Design Professor at UCF. “It usually took us a week and a half to hang a show and at least 8 hours to focus,” adds Matt Decker who is the UCF Master Electrician. For years the department wanted to create a better, safer working and learning environment for their students. At the end of 2014, the department’s wish was granted and the Black Box Theater was outfitted with SkyDeck. Now, many people can be on the grid at the same time. This also allows instructors to be ’hands on’ and simultaneously teach several students how to hang and focus. The overall benefits are safety and time savings. 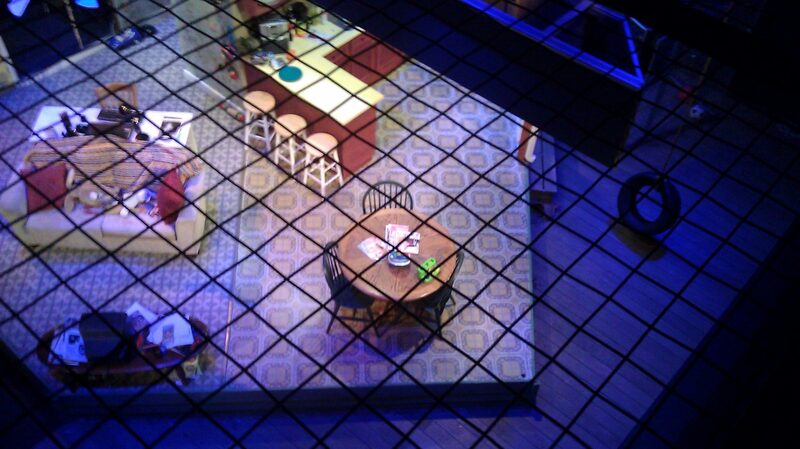 The increased show set efficiency is fantastic and the production schedule vastly improved. 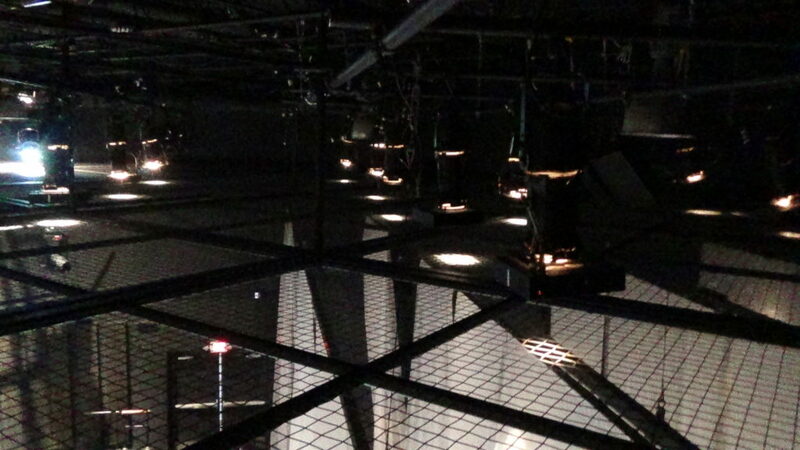 Students can be installing scenery and painting on the stage below while the light-hang proceeds simultaneously overhead. 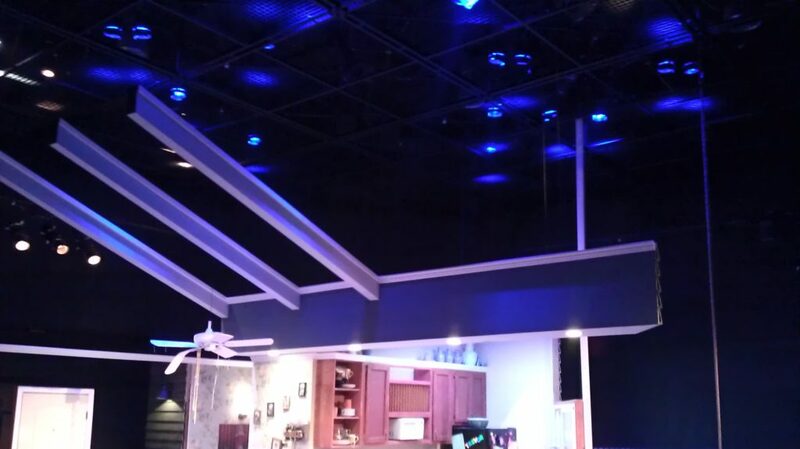 Audio equipment can be installed or adjusted while a rehearsal takes place below. “We’re able to work in a more industry standard (realistic) time frame. A three week light hang is not ideal for the real world experience,” states Bert Scott, Design and Technology/Scenic and Lighting Design Professor. “I really wish they had a SkyDeck at UCF while I was there. You wouldn’t believe how long it used to take us to hang & focus from A-frames ladders. Having a SkyDeck is a huge step forward for the Department,” says Solana Bolton, a UCF Alumnus. “I remember watching two or three people work during a light hang while the rest of us just sat there. I am really excited for the department. Now experienced students can accompany new ones up on the SkyDeck and really engage with them doing the work. There is nothing better than hands on learning,” adds Keiko Kasai, also an Alumnus.